SM Entertainment is one of the top 3 biggest entertainment agencies in South Korea. SM has a lot of artists who are really popular with the public. They always make new trends every time they debut their artists. f(x) is one of them. f(x) was formed by SM Entertainment in September 2009. f(x) is really popular among international fans because they are different from other groups. One of the members really stands out because her boyish looks. Originally, f(x) consisted of five members, the leader, Victoria, and Luna, Amber, Krystal and Sulli. But on August 2015, Sulli decided to leave the group to pursue her passion for acting. After Sulli left the group, f(x) did a comeback with their 4th album, 4 Walls, with four members. For entertainers, appearance is one of the most important things to maintain. Having good looks and a slim body are important for Korean idols. Especially for girls, they have to maintain their weight and prevent weight gain. That is the reason why lot of Korean girls do diet, some of them are even extreme dieters. 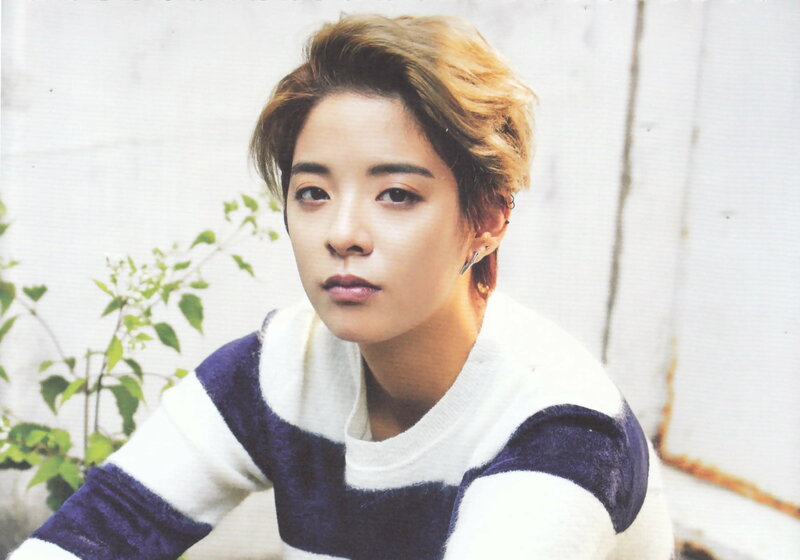 As celebrities, f(x) are also well know for their good looks and well-proportioned bodies. One of the members, Krystal, even has abs, and girls dream to have her body. Of course they did diet to get those bodies. Especially before their comeback they went strict diets so that their bodies would look good on TV. f(x) members have shared their dieting methods. Let’s check them out. Victoria is the eldest and the leader in the group. Before their debut, she made an appearance on SHINee’s music video, Replay (Noona, You’re So Pretty). She looks really pretty, and even though she is older than all SHINee members, she really suited the song. Victoria is well known for her Chinese beauty. She also well known for her flexible body because she has studied Chinese traditional dance from a young age. Because she danced, she has good proportions. She’s not that skinny but is curvy. f(x)’s Victoria said that she would drink red bean water before every meal. Red bean water is one of China’s most popular methods to promote weight loss or prevent weight gain. The red bean water is a high-protein drink that will make you to feel full for longer after drinking it, so you will eat less. Red beans are also good for diabetes protection and cancer prevention. Before Luna lost some weight, she had thick legs because they were muscular. She has had issues because of her diet. She has become thinner than before, especially in her legs. We can see the difference in her legs from before she started to diet and after dieting. There are lots of tips from Luna about diet. She uses a couple of methods to lose weight. Luna said that she does yoga and jogs around Han river every day. On SBS Power FM’s Cultwo Show she also said “Firstly, I didn’t eat snacks. I normally don’t drink alcohol, so that wasn’t a problem. My secret was that I didn’t eat anything salty, sweet, or spicy, and I ate a lot of health foods. I didn’t eat stew, and I only had broth. I ate a diet for people with colds”. Luna also said that she has only one meal a day and the menu is chicken breast, cucumber and carrot only. She lost 8 kg in only a week after she only drank two whole 1,5 L bottles of tea a day. She revealed that her lightest weight is 40 kg. On Star King, Amber and fellow member Sulli demonstrated the Plastic Bag Diet. The Plastic Bag Diet is one of the dieting method’s of Korea. To lose some weight, they inflate a plastic bag and kick it around so it doesn’t drop. Amber uploads a vlog called ‘What The Pineapple’ where she talks about diet on her YouTube channel. She said that starving is not dieting. People shouldn’t starve themselves to get a good body. She also said that exercise is important, that you can’t just diet without exercise. Amber also doesn’t eat junk food anymore. Along with her fellow member Amber, Sulli made a new trend with her Plastic Bag Diet or also well-known as the Vinyl Diet in Korea. On the variety show called Star King she blew the plastic and kicked it continuously with her knee so it didn’t drop. She can do it for 30 minutes. People think it is a good method to lose some weight because it makes you drop calories. However, Korean netizens suspect that she got Carboxy shots in her legs because they noticed some bruising on her legs when she attended an event at COEX in Lotte. Carboxy Therapy is a non-surgical cosmetic medicine treatment. It claims to kill fat cells, stimulate blood flow, improve the skin’s elasticity and reduce the appearance of cellulite. Sulli’s leg looks so much thinner compared to her debut legs in the earlier pictures. Krystal has a body that people call ‘body goals’. Her height is 168 cm and her weight is 45 kg. It is an ideal body for Korean girls. She also has abs, which makes people love her body even more. Krystal has maintained her mesmerizing and hot figure well. Krystal’s body become a hot topic after f(x) promoted a song called Nu Abo. The song has choreography which includes lifting her shirt. Starting then, people began to notice Krystal’s abs. People called them ’11 abs’ because they looks like a number 11. Krystal said she got those abs because she has danced since she was young. She went to a jazz dance academy and had to do sit ups and stretches every day.